Just an hour north of Newcastle-upon-Tyne and 90 minutes south of Edinburgh, there’s a quirky, rambling 18th Century Northumberland house at the heart of what many consider to be England’s greatest stretch of natural coastline. Newton Hall is not only a unique hotel and wedding venue for the North East and Northumberland; it also happens to be located in one of the UK’s most beautiful places, in the heart of a National Trust-designated Area of Outstanding Beauty (AONB) which fuses the best of both worlds – spectacular countryside and a breathtaking coastal location just an hour from the metropolitan hearts of Newcastle to the south and Edinburgh to the north. They’re only a couple of miles from the spectacular Farne Islands, famed for its bird life and Atlantic grey seals (boat trips from nearby Seahouses are wild and memorable! ); Alnwick Castle and Gardens, home of the first two Harry Potter films; Holy Island, a little gem easily reached across a causeway (just watch the tide…), and some of the best surfing and water sports, golf, field spots, walking and country pursuits you could wish for. A fantasy destination specialising in outdoor weddings. It’s critical that there is a trusting relationship between the venue and the happy couple! They’re overrun with industry professionals, wedding awards and they’ve more wedding coordinators than any other venue we know! This ensures you of a speedy and attentive reply every time. Even their Master of Ceremonies acts as your very own personal butler on your big day! As an exclusive use venue they ensure there are no gate-crashing golfers, ‘ladies who lunch’ or men in stripy suits (unless it’s your crazy uncle Bob). Newton Hall is all yours for your big day. Food is hugely important to the team at Newton Hall. 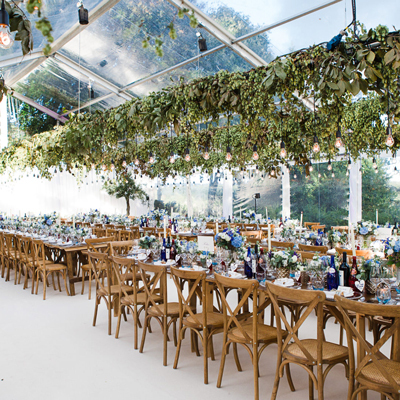 They are specialists in providing the tastefully traditional, however, they are also famous for delivering daringly different events with an amazing array of fabulous feasts and exquisite food to choose from – all unique to Newton Hall. It’s your day, so have it your way! Whatever your heart’s desire they have endless possibilities. Their only limit is your imagination.